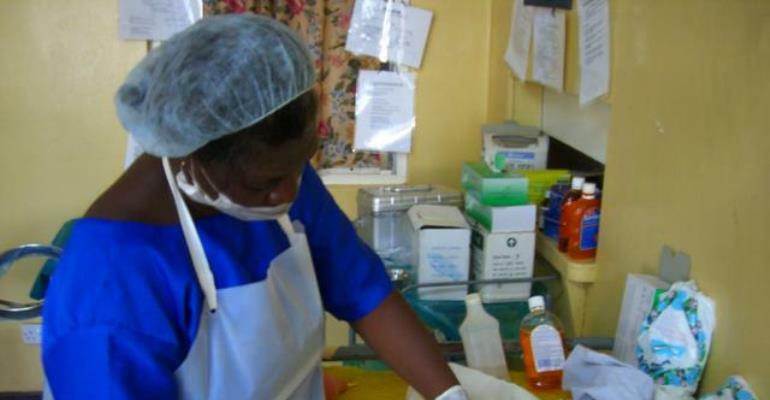 The inadequate number of midwives in the Western Region continue to hamper effective delivery of maternal, antenatal care and child health services. Supervised delivery and antennal visits also dropped slightly from 58 per cent in 2016 to 53 per cent in 2017 and 68 per cent in 2016 to 66 per cent in 2017 respectively. Dr Jacob Mahama, Western Regional Director of Health Services, who made this known at the 2017 annual performance review meeting, noted that, Antenatal Care registrants in the first trimester rose from 52 per cent in 2016 to 64 per cent in 2017. The annual performance review meeting was under the theme: 'Strengthening the Health System for the Achievement of the SDGs through ICT and Innovation'. According to the Regional Director, maternal deaths dropped from 92 to 82 last year, and that, intermittent preventive therapy against malaria also improvement across board. He said family planning services recorded a marginal increase from 21 per cent in 2013 to 28 per cent in 2017. Dr Mahama said the Region's greatest achievement was in the area of new born care, which according to him had recorded a consistent decline in still births for the past five years. He said it fell from 2.6 per cent in 2013 to 1.6 per cent in 2017 while Neonatal mortality also dropped from 7.4 per 100,000 live births in 2015 to 4.3 per cent per 100,000 live births in 2017. Issues of nutrition also improved considerably, dropping the figures in under five malnutrition, however, the region still has challenges with breast feeding, since early initiation dropped from 94 per cent in 2015 to 91per cent in 2017, with exclusive breastfeeding rate dropping to 93 per cent in 2017. The Director said building the capacity of health workers in the districts and ensuring that the necessary equipment, tools and health commodities were available was paramount in the quest for quality health care delivery. 'My maiden tour to the districts in the last quarter of 2017 revealed lots of gaps in skilled personnel and inadequate basic equipment in the facilities in the periphery across board. We have a challenge in retaining newly qualified medical officers because of lack of funds to provide the necessary incentives to make them stay'. He said scaling up innovative methods of delivering quality health services was key, particularly through ICT linkages with facilities to ensure that prompt actions were taken where necessary to save the lives of many Ghanaians from needless deaths. Dr Mahama said the lack of a suitable regional hospital was not the best for the region and that there was the need for stakeholders to urgently put plans together to get the Region a befitting Regional hospital. Mrs Evelyn Lamptey, Regional Coordinator, USAID systems for health, said they were working with the GHS to strengthen its efforts to reduce preventable child and maternal deaths, as well as reducing unmet needs for family planning. 'We are looking at strengthening vital health system building blocks whiles promoting community based health planning services, strategic behavior change, communication and targeted demand generation to maximize service delivery coverage. Mrs Lamptey said it was envisioned that working in direct partnership with the MOH and the GHS would sustain equitable coverage and use of high quality health services to ensure significant progress in critical health outcomes. Mr Ebo Hammond, who represented the Director-General of the GHS said ICT was a good technology for the health sector to leverage on, in terms of health information sharing and referrals. He said ICT also ensured evidence based decision making and reduced human interface, which is closely associated with corrupt practices. Mrs Eugenia Gifty Kusi, the Deputy Western Region Minister said achieving the Sustainable Development Goals meant that the health and well-being of all Ghanaians would improve. The broad areas of the SDGs are zero poverty, no hunger, health care, education, climate change, gender equality, water, sanitation, energy, environment and social justice to transform societies. She said health services was an important driver of the SDGs and also the inputs into the goals require good health; physically, mentally and spiritually. 'I am informed that the Region has made significant achievement of key indicators in maternal and child health, nutrition, surveillance and neonatal health and the ICT innovation is also being handled by abled staff, but the challenge is the nationwide rollout of the technologies to ensure that messages get to the end users'. She said "as government, we are not oblivious of the challenges and the Region commends you for the motivation and commitment of your staff despite the challenges they face in service delivery'.